As we enjoyed lunch by the lushly landscaped outdoor pool at the Mediterranean-style Waldorf Astoria Spa, at Boca Raton Resort & Club I pondered how the interior of the spa could be as beautiful. The exterior is stunning, designed to resemble Alhambra Palace in Morocco. But inside? The 50,000-square-foot interior is just as beautiful and I was definitely in for the royal treatment with the Spa Palazzo Ritual Bath. This signature 50-minute treatment, available as a prelude to any service, is designed to “provide an overall feeling of decadence and well-being.” The Ritual Bath is a five-step process, beginning with either a short visit to the steam room or the sauna. I selected the sauna, which was filled with eucalyptus, which always perks me up. 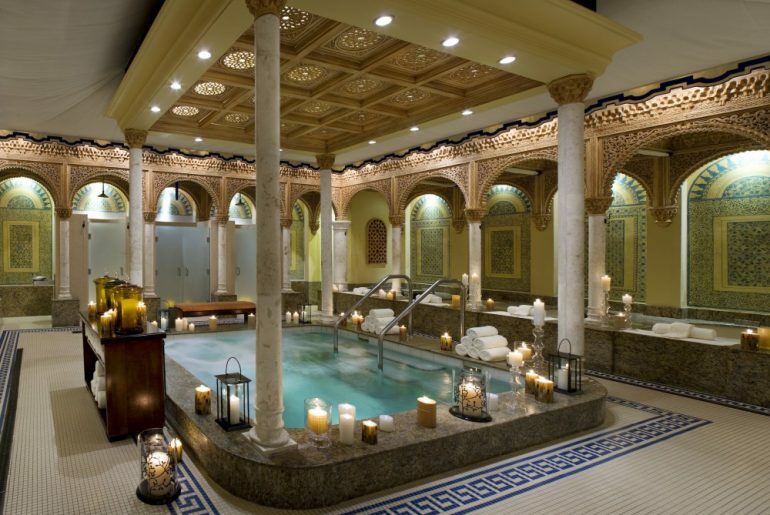 I felt like a privileged character in a James Bond movie as I was led to a magnificent candlelit marble-and-mosaic-tiled room where I enjoyed the rest of the steps: a soak in a personal soaking tub with scrubs; a Swiss shower; a warm water massage and a final soak in a Jacuzzi. Decadence and well-being? Mission accomplished. There’s plenty to do at the 80-year-old Boca Raton Resort, which has seven pools, a Beach Club, two golf courses, 30 tennis courts, a new Surf School by Billabong and even ice-skating in the winter. 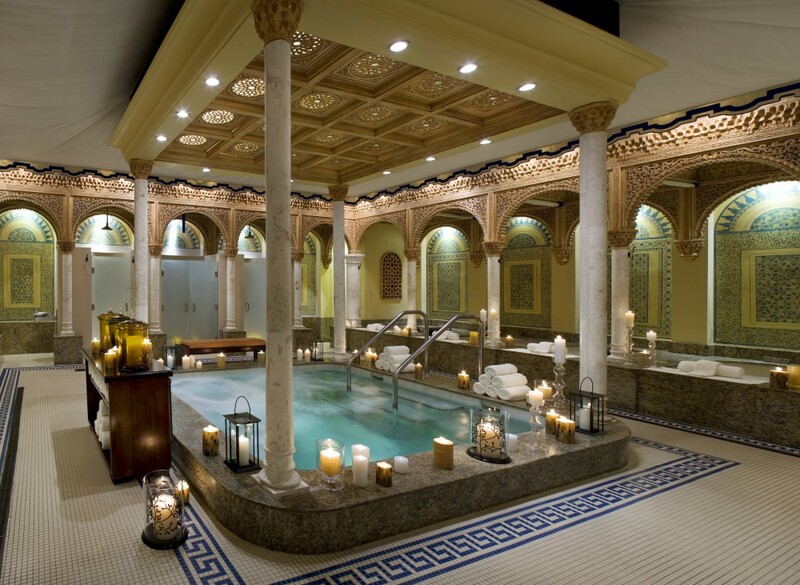 But don’t check out of here without checking out Spa Palazzo.